Moyet, who rose to fame with Yaz in the '80s, has always found community with LGBT people. Set foot in just about any gay club 30 years ago or so and you’d inevitably find yourself on the dance floor, hands in the air, lost in the beat to a remix of Yaz’s “Situation” or “Don’t Go.” While Yaz had its heyday decades ago, Alison Moyet, the voice of the British electro-pop duo (Vince Clarke of Erasure was the other half of the pair) has been churning out infectious pop song after haunting melody since Yaz split in the mid-1980s on albums including Alf, Essex, and The Minutes. This June she released a stunning collection of songs on her latest album, Other, and Friday she released the video for “The Rarest Birds,” a song she dedicated to LGBT people and to the community in her adopted city of Brighton, England. “'The Rarest Birds' is a paean to LGBTQ, to Brighton, to coming out after the darkest nights into the arms of those that delight in your flight. From me to you,” Moyet said in a press release. While the tracks of the album and title song, "Othe,r" quite literally explore themes of otherness and marginalization that Moyet has felt since her youth, “The Rarest Birds” celebrates a community in which she’s found a home since her young days as a punk, she told The Advocate in an interview this June. The video for “The Rarest Birds,” directed by award-winning videographer Steve Gullick, was shot in Brighton, an artsy town south of London that boasts a vibrant LGBT community and a famous seaside boardwalk. And it also happens to be where Moyet, now 55, has settled and studies sculpture in addition to making music when she's not on tour with Other. 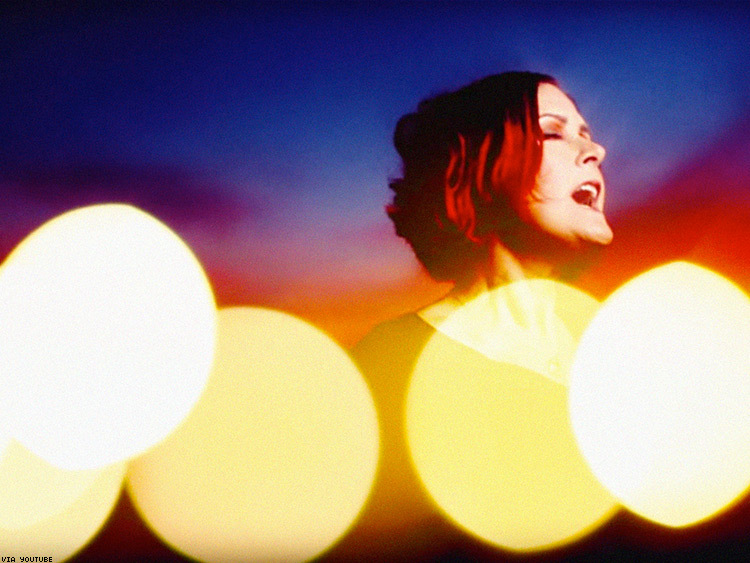 Gullick’s visuals in the video match Moyet’s melancholic yet celebratory tone, her visage juxtaposed against Brighton’s bright lights and crashing waves as her contralto belts out wistful lyrics. Watch "The Rarest Birds" below.